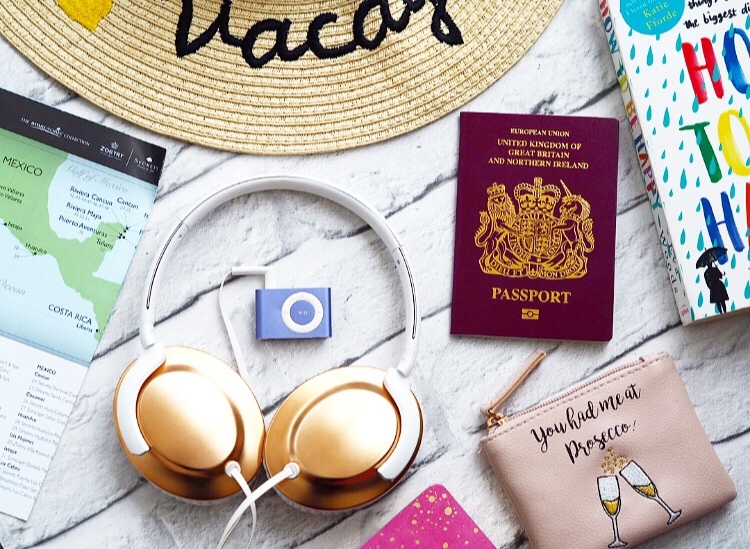 I talked about my fear of flying prior to our honeymoon, and listed the steps I had taken in order to combat the anxiety I was feeling about the long haul flight that was necessary for us to get to and from Mexico. Having now returned, I wanted to discuss what actually helped on those flights, and how important the kindness shown by members of staff on the return flight was for me when I experienced a panic attack at 30,000 feet. I can’t stress this enough, talking about my concerns at the beginning of the flights was the best thing I could have done. I actually coped incredibly well on the flight out to Mexico, but I am still pleased I mentioned my worries to the flight attendant as soon as I boarded the plane. She reassured me, and when we disembarked she congratulated me on how well I had done. On the flight back I had a feeling I wasn’t going to do as well. I had already had an anxiety attack during our holiday, and I was feeling panicky before we boarded. I again sought out a flight attendant as soon as we boarded, and again he was quick to reassure me, and let me know I could go to the front of the plane with them during the flight if I needed to at any point. I had a little panic as we took off and then, about 7 hours into the 10 hour flight I became light headed, my thoughts were rushing and I could tell I was on the brink of having an anxiety attack. Ed was trying to sleep as he had a long drive when we got back to Gatwick, and the plane was in darkness as we were flying through the night. I was terrified, it felt like I was struggling to breathe, every time I tried to calm myself down another thought would come along and cause my throat to constrict in fear. I didn’t know what to do, so I headed up to the front to find the flight attendant. He wasn’t available but his colleague sat with me for the next two hours (give or take a few minutes when she had to do some tasks), and chatted with me to distract me from my thoughts. It was the only thing that got me through that period, when I was sure I would stop breathing from the anxiety I felt. She even calmed me down enough that the turbulence we experienced had no effect on me. I am so grateful to the staff on the plane, especially the flight attendant who sat with me and calmed me down. On the flight out, we were delayed by a couple of hours, so to apologise, everybody on board was upgraded to the premium entertainment package. There were a huge amount of films and tv shows to choose from, and I discovered Westworld, which I hadn’t heard of before. I watched four episodes back to back on that flight, and had intended to watch the remaining six on the flight back but, after paying to upgrade, I then felt too anxious to watch more than one episode. The show is dark and sinister and it wasn’t the right kind of programme to watch in the situation I was in. We’ve since got Now TV and are working our way through the first season before the second one starts next week. Keeping yourself occupied by getting stuck into a series or film you’ve not had the chance to watch before is a brilliant way of taking your mind off things, and helps to pass the time on a long haul flight (just stick to something lighthearted if you’re feeling panicky). If I go on a long haul flight again (which right now is very unlikely as I really hated our return flight), I will 100% be trying for the extra leg room seats, specifically the exit ones we had on the flight out, as there was so much space around us and it really put me at ease from the start. These seats are more money, but totally worth it in my opinion. I will also be going for the priority service in the airport, again for an additional cost, but worth it for shortened queues, being able to board the plane first, and generally faster service throughout (we were able to skip check in and security queues, and were among the first to get our luggage back at the end of the flights). These little things really helped with my nerves, and made the flight a little bit easier to cope with. I downloaded The Greatest Showman soundtrack prior to going away, and it was really helpful to listen to with my headphones in whilst waiting to board, and during takeoff. I found listening to songs I knew the words to really helped, as I was able to concentrate and sing along in my head, effectively shutting the rest of the noise and stress of the airport and flight out. I had also downloaded the hypnosis tracks I’d listened to before we flew out onto my phone to listen to, but in the end I didn’t want to run the risk of them making me feel more anxious than I already was. Some outfits can make me feel very constricted, and I knew I didn’t want anything making me feel any worse than I already did about flying. I opted for a pair of leggings, a vest top and a comfy cardigan and took along a fluffy socks to wear during the flight, and a change of clothes in my hand luggage to put on soon before landing to make myself feel fresh. Wearing loose fitting clothes allowed me to relax as much as is possible when you’re on a plane, and helped me to feel more at home in the unfamiliar surroundings of the plane. I had been prescribed Diazepam for the flight but I wasn’t keen on the idea of taking it. On the flight out we had a bottle of champagne given to us by the airline to celebrate our honeymoon, so the decision was taken out of my hands, as you aren’t allowed to drink with the tablets, but on the way back I was unsure what to do. In the end I went for a glass of wine over the tablets, which helped me to relax initially. Obviously everyone is different, for some people having a drink could make things ten times worse. It’s also never a good idea to drink to excess on a flight as alcohol can have a stronger effect on you when in the air, but a glass of something can help to settle nerves and take your mind off things, and I think it helped a little for me. Are you scared of flying? How do you cope with long haul flights?